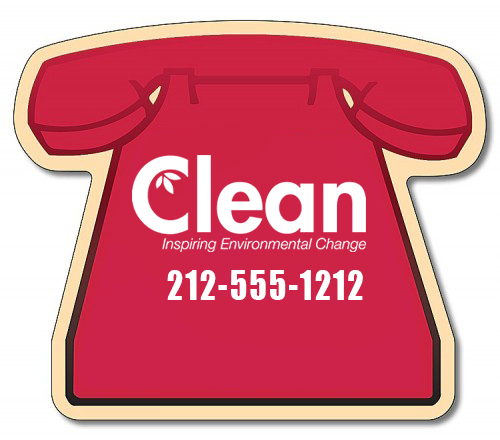 A 4.25 x 3.6 telephone shaped magnet is outdoor safe and it can be utilized by all types of advertisers to highlight their contact information such as telephone numbers, and etc. This magnet is UV coated, which makes it resistive against heat, moisture and winds. This magnet can be easily imprinted with business information after making a payment of $1.30 (100 and above) - $0.48 (orders above 1oooo).